Manfrotto has redesigned its 492 and 492LCD heads and is expanding its range with the 490 model. Manfrotto is building on the success of its 496 and 494 centre ball heads by introducing a new 490 model and the company has also redesigned its 492 and 292LCD heads. The 492 and 492LCD are manufactured in Italy with ergonomics and convenience at the forefront of the design process. The redesigned heads are ideal for amateur photographers and have a payload of 4KG. 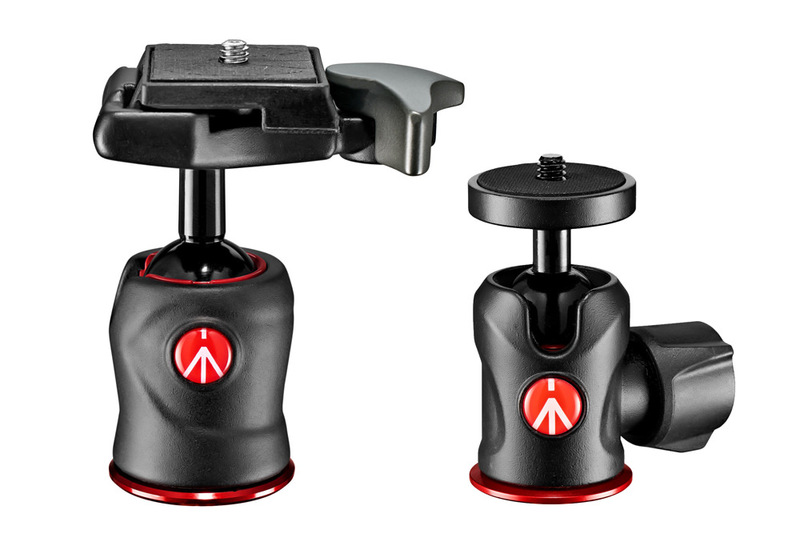 The Manfrotto 490 centre ball head is the simplest head in the range. The 490 head is also designed in Italy, with special attention paid to ergonomics and functionality: one single knob operates the entire head, making it extremely intuitive and easy to use. As with the 492 and 492LCD models, the 490 has a payload of 4kg and is ideal for CSC or mirrorless cameras.